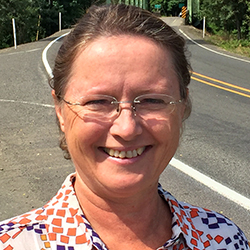 Oregon-land.com was opened in 2005 to provide local property owners and people wishing to move to the area with a choice and an opportunity to work with ethical, experienced brokers familiar with the Southern Oregon way of life. Our goal is to assist buyers and sellers with all of their real estate needs in a fun, low stress environment. Jeff Vinyard the owner and principal broker has enjoyed living in Southern Oregon since 1969. With over 20 years in the real estate profession, Jeff and the crew are familiar with current local trends, zoning and property development regulations. Normally when you call Oregon-Land.com your call will be answered by a broker not an automated complex phone system.The staff at Oregon-Land.com is here to help you! We look forward to working with you. As a Broker specializing in rural property for over two decades. I have extensive knowledge of zoning, well and septic regulations. I have been a member of the Rogue Valley Association of Realtors Standards and Practices Committee for over 10 years. I have lived in Oregon for most of my life and in the Applegate are for over 20 years. 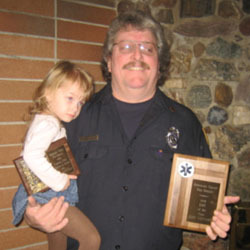 Active in the community, I am a Volunteer Applegate Firefighter and EMT, and a Lion’s Club member. I enjoy supporting local schools and built the Ruch Community School garden. Stop by the Oregon-Land.com office to see me about your real estate needs. 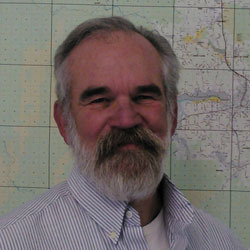 Tom Kurth has lived in the Applegate Valley for the past ten years. He is active in the community as a Lion’s Club member and serves on the board of a local Irrigation Association. With a background in manufacturing, Tom spent thirty years working with farmers in the Midwest on bringing renewable products from farm to industry. Tom and his wife, Lonnie, have enjoyed living in this beautiful valley and he understands the needs and concerns of clients seeking rural living. Tom is ready to help you find that piece of real estate to call home. Introducing our newest member of our wonderful team: Heidi Martins. Owner of Crooked Barn Vineyards, located in the Heart of the Applegate. Member of the Jacksonville-Applegate Rotary. Born in Brazil and has been living in the US for over thirty years. Speaks fluent German, Brazilian Portuguese, and moderate Spanish. Her passions include her dogs (Vizsla’s), Organic foods, and reading. Come in and see Heidi and find your dream home. © 2019 Oregon-land.com - Real Estate Brokers in Jacksonville, Oregon.